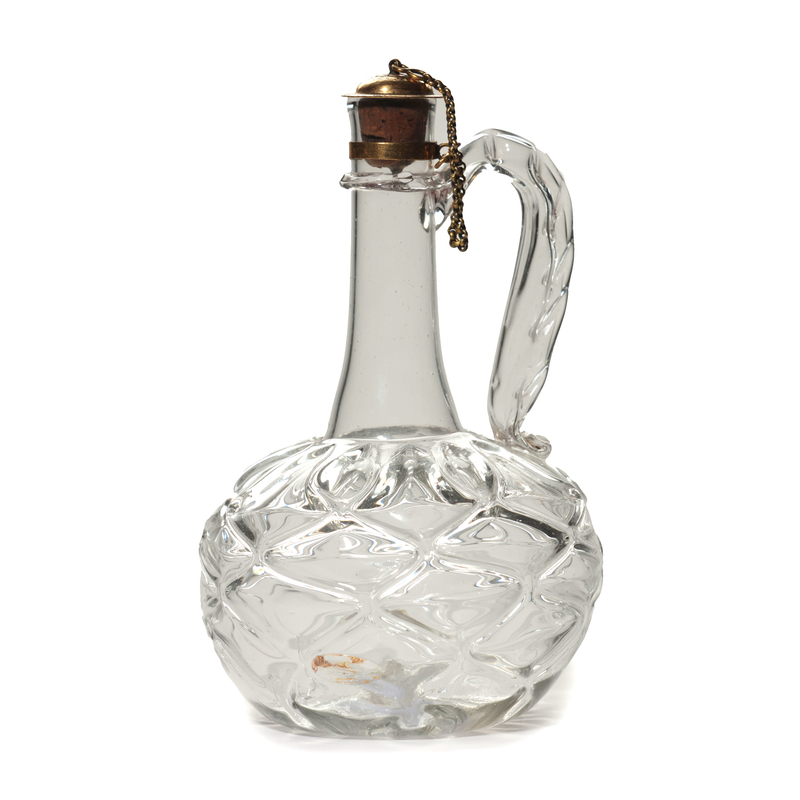 Facon de Venise flagon with kick squat spherical body made of a double layer of glass, the outer one with vertical ribs. The slender neck is concealed by a gilt brass mount. The round stopper is attached to the mount by a small chain. 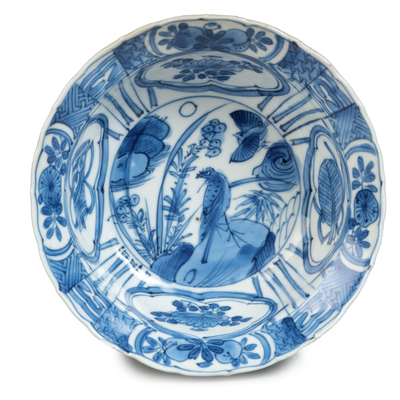 This Italian style caraf became accustomed in the Netherlands in the seventeenth century. 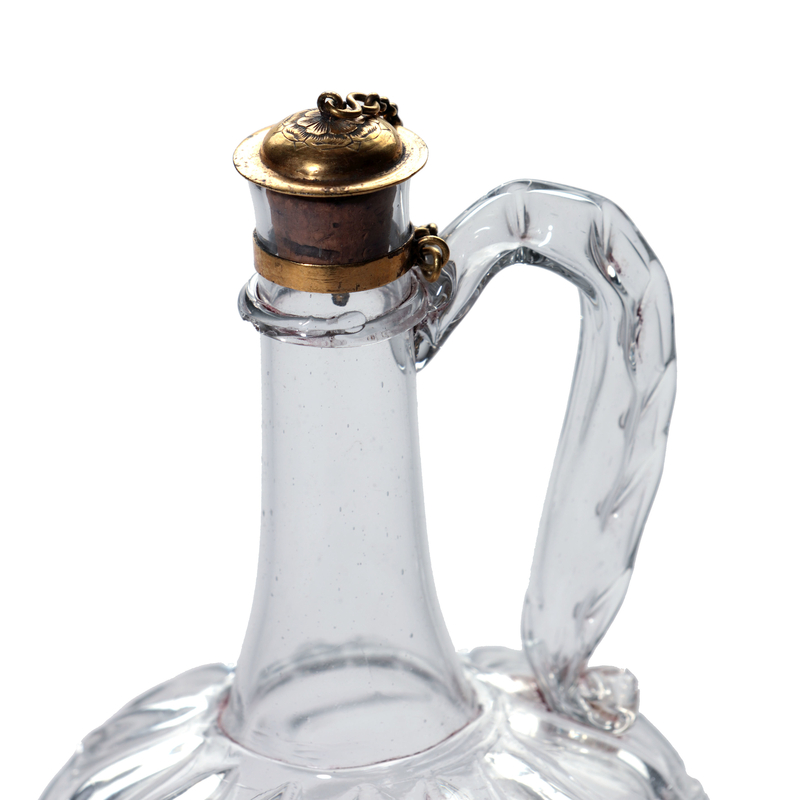 It was used during diner to pour wine.